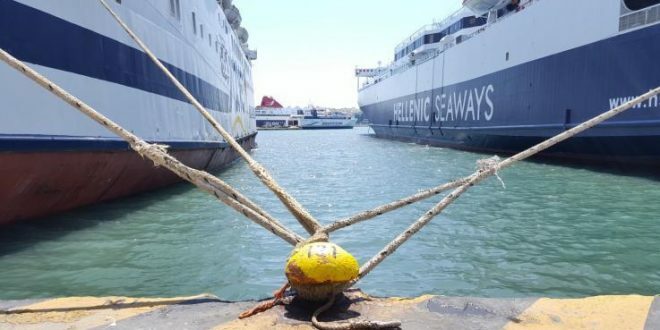 Ferries are docked at the Attica ports of Piraeus and Rafina as of Thursday afternoon (March 21, 2019) due to stormy winds blowing with intensity of up to 8 and locally up to 9 Beaufort. No ferry will disembark from the port of Piraeus before 9 o’ clock at night. Schedules from Rafina port for the Cyclades islands of Andros, Tinos nad Mykonos have been suspended. From the port of Lavrio, no ferry sails to the island of Kea. Closed to sea traffic are the passages Rio-Antirio in the Gulf of Patras and Agia Marina-Nea Styra connecting Attica with Evia. Passengers planning to travel by sea are advised to check with local port authorities and travel agents. Meteorologists forecast powerful winds in the Central and South Aegean Sea until Monday, March 25.